Register online for this year’s conference here: (link removed). The conference fee is $100. Payment will not happen until check-in, but advance registration is needed so that we can plan appropriately. 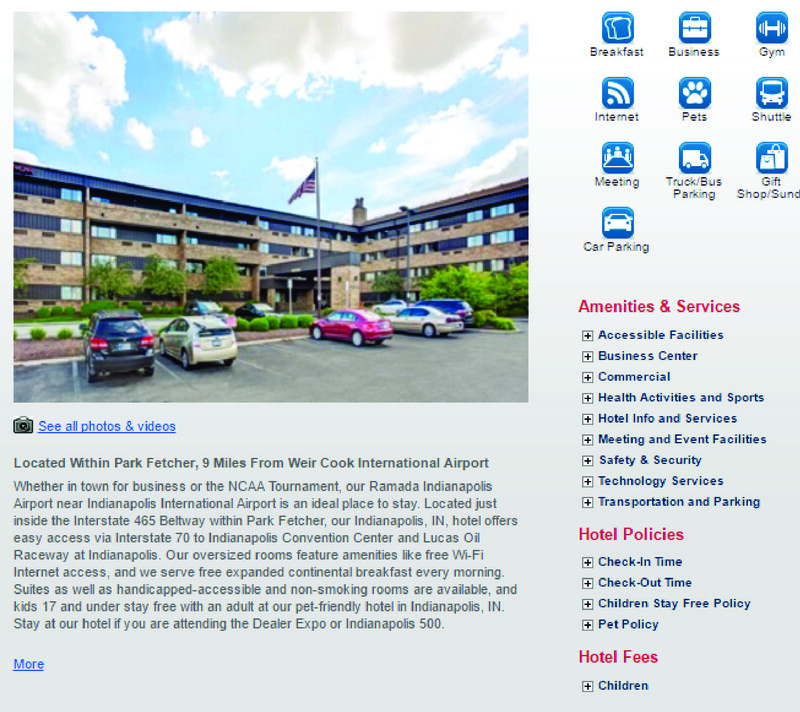 We will be providing morning pickup and evening dropoff shuttles to the following two hotels. Be sure to indicate on the registration form if you need a seat on the shuttle. Use group/code “Brotherhood of St. Moses the Black”. For reservations call 317-244-1221. Conference rate: $103. 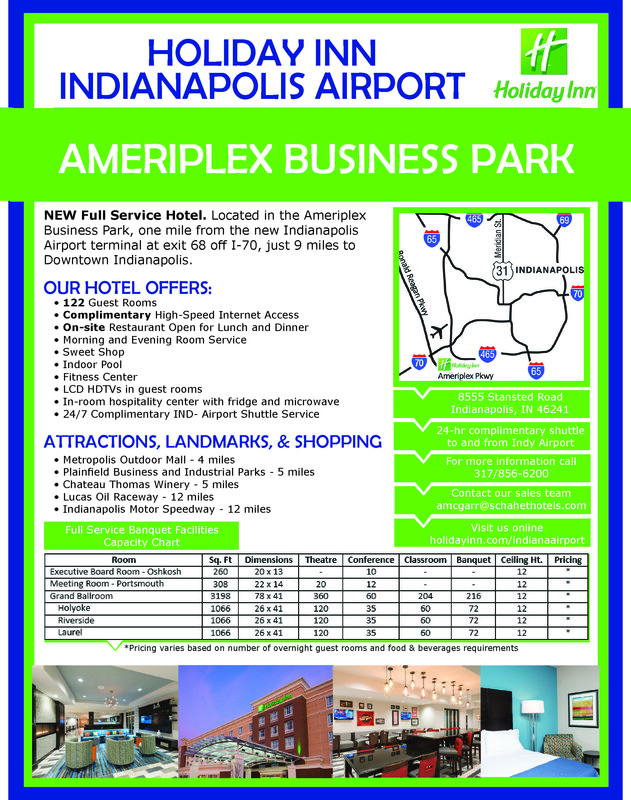 Click image for more information about the hotel. Lodging in a parishioner’s home is also available on request. See the registration form for details. 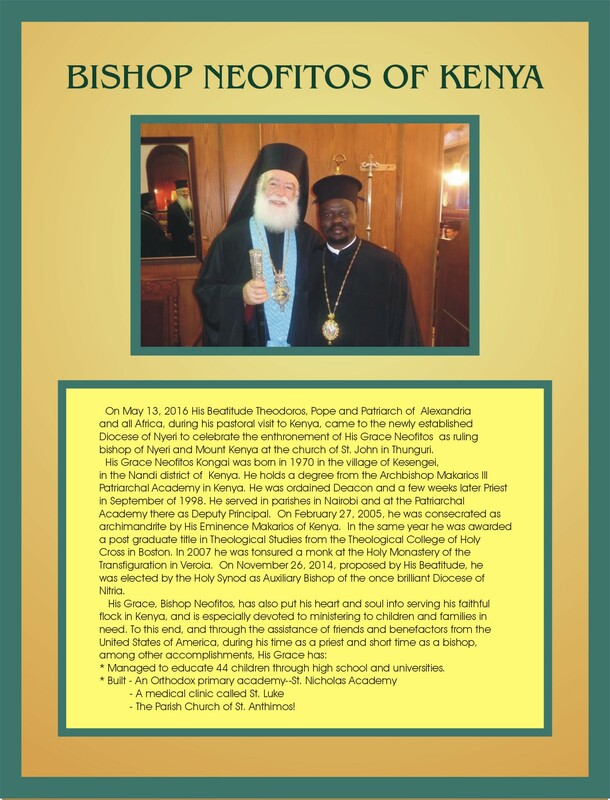 We are honored to have as our keynote speaker this year Bishop Neofitos of Kenya. On May 13, 2016, His Beatitude Theodoros, Pope and Patriarch of Alexandria and All Africa, during his pastoral visit to Kenya, came to the newly established Diocese of Nyeri to celebrate the enthronement of His Grace Neofitos as ruling bishop of Nyeri and Mount Kenya at the church of St. John in Thunguri. His Grace Neofitos Kongais was born in 1970 in the village of Kesengei, in the Nandi district of Kenya. He holds a degree from the Archbishop Makarios III Patriarchal Academy in Kenya. He was ordained Deacon and a few weeks later Priest in September of 1998. He served in parishes in Nairobi and at the Patriarchal Academy there as Deputy Principal. On February 27, 2005, he was consecrated as archimandrite by His Eminence Makarios of Kenya. In the same year he was awarded a post graduate title in Theological Studies from the Theological College of Holy Cross in Boston. In 2007 he was tonsured a monk at the Holy Monastery of the Transfiguration in Veroia. On November 26, 2014, proposed by His Beatitude, he was elected by the Holy Synod as Auxiliary Bishop of the once brilliant Diocese of Nitria. Managed to educate 44 children through high school and universities. The Parish Church of St. Anthimos!